Michael is currently Joint Managing Director of BKD Architects. 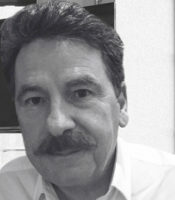 Michael, who has been with the practice for 37 years, brings a wealth of experience and knowledge to his projects. Michael is a Joint Managing Director of BKD Architects. Michael has been with the practice for over 35 years and during that time has been responsible for a large variety of projects. Such projects include Phase 1 of the IFSC which includes circa one million sq.ft. of commercial office space, Jurys Inn Hotel and a multi-storey car park,Hatch Street / Adelaide Road Office development, The Merrion Hotel, The Mespil Hotel, Office, Hotel and Residential Development at Sir John Rogerson’s Quay which includes headquarters for O2 (now 3) and the ESRI, The Maldron Hotel, Office & Retail Park at Santry Demesne, Santry, Dublin 9, National College of Ireland and Premier Suites, Merrion Road, Ballsbridge. Michael holds a Higher Diploma in Project management from Trinity College and has successfully Project Managed a number of developments on behalf of the Practice. 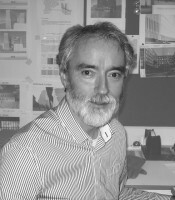 Niall is a Joint Managing Director of BKD Architects and a Fellow of the Royal Institute of the Architects of Ireland. He was the lead architect in BKD’s competition-winning design for the Dundrum Town Centre (Gold Medal, British Council of Shopping Centres 2005 and Winner of the Global Merit Design and Development Award, International Council of Shopping Centres 2007). 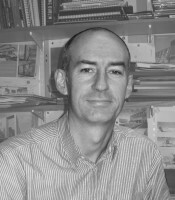 As Director in charge of the Dublin Central Carlton Site project, his work in the design of large, complex and innovative urban renewal projects gained recognition (Commended – MIPIM/Architectural Review Future Projects Awards 2009). He has also been responsible for significant shopping centre, residential, educational and conservation projects, with a client list including the Custom House Docks Development Authority, Trinity College Institute of Business Administration, Shimizu Japanese International School, the Institute of Technology Tallaght, IADT Dun Laoghaire, Bloomfields, Chartered Land, NAMA and other commercial and institutional bodies. More recently Niall has worked on the design of the Bolands Mills docklands regeneration project and the refurbishment of the H+M outlet on Grafton Street. 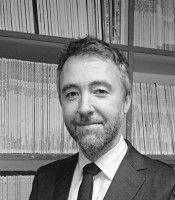 Niall is also an external examiner for the RIAI and a member of the Irish Agrement Board. Jacques is a Design Director in BKD Architects with over 20 years experience in the design and delivery of a range of projects in both the private and public sector with an emphasis on large scale mixed use, commercial and retail led developments. Jacques experience includes operating as Design Architect for the Boland’s Mills Mixed use redevelopment; where three new signature buildings are proposed amidst rejuvenated heritage buildings and a World class public realm overlooking Grand canal dock in Dublin. Jacques also spent two years running a subsidiary BKD office for the design and delivery of a 150,000m² planning permission for the Dublin Central Project. This major urban regeneration scheme at the 5 five acre Carlton site on O’Connell street, included commercial buildings, retail space, residential units, numerous protected structures, a National Monument and the delivery of Ireland’s first John Lewis store. Jacques provides development advice to a number of major shopping centre / retail development clients around the country and has undertaken assessments in the potential of distressed commercial properties for major banks and receivers. 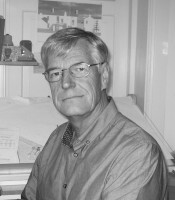 Paul is a Director of BKD Architects and has been with the practice since 1994. Paul has immense experience across a range of project types including commercial, residential, retail/leisure and interior fitout, with a particular emphasis on the planning and delivery of large scale office developments. As well as an in-depth knowledge of commercial architecture, including office design, space planning and interior architecture, Paul also brings his wealth of experience of project coordination, technical design, delivery and quality control to each project. Paul has been responsible for the delivery of projects such as, 75 St Stephen’s Green, Westend Retail and Business Park Blanchardstown, UCD Student Residence, Grand Canal Plaza Office Development, various Office developments within The Harcourt Centre, The Earlsfort Centre, and Citywest Business Park, as well as numerous interior fit out projects and office refurbishments including JTI Ireland, Wipro, Clarion Hotel Dublin Airport, 7 Grand Canal for Aviva, and cinema design for Odeon UCI Cinemas. More recently Paul has been responsible for a number of large scale office developments at Earlsfort Terrace Hatch Street (Arthur Cox HQ), Charlemont Street, and 3 Waterside at Citywest. Paul is also BKD Architects designated office member of the British Council for Offices.